For many years, bike fitting has been the domain of the bike mechanic, but research suggests time and time again that it is in fact the clinicians perspective which can be most valuable. An improper body position (Bike Fit) is well documented as a cause of overuse injury (Ref 1). While not exhaustive, factors include; pedal systems (2), issues at the shoe/pedal interface (3), saddle height (4), saddle tilt (5), saddle design and trunk angle (6), handlebar position (7), and anthropometric differences (8). Most importantly, however, musculoskeletal deficits can prevent the rider from acquiring a discipline-specific body position, or compromise their ability to do so (9). And this is where your Bike Fit should start; after years of studying biomechanics, I start with YOU. What is your history of cycling? What is your preferred form of cycling? What are your aims? What are your strengths and weaknesses? Where do you show signs of mobility deficits? What is your injury history? Which muscle groups are strong/weak/over-worked/under/worked? What you get: I advocate a 3-step integrated process, devised to harmonise Man and Machine. . STEP 1 – Musculoskeletal Screening: Identify common musculoskeletal and biomechanical deficits and imbalances highly prevalent in cyclists, using years of biomechanical assessment experience, and precise measurement tools. 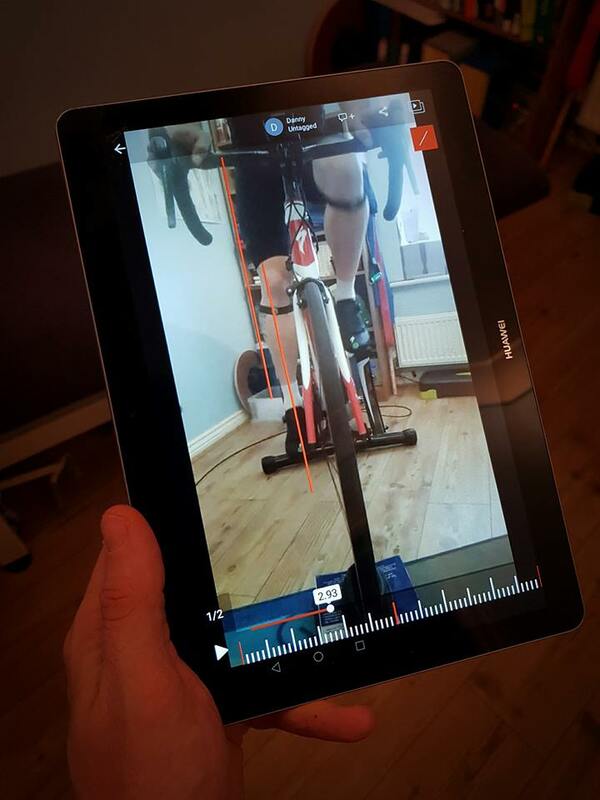 STEP 3 – Discipline Specific Bike-fit: Incorporating the aforementioned musculoskeletal and biomechanical deficits, discipline specific adjustments of the bike take place, designed to maximise your position within the ‘3 Pillars’ of fit: COMFORT, POWER and AERODYNAMICS. During this stage, we will use EMG (Electromyographical Data) to see exactly which muscle groups you are using (potentially over- or under-using) and so enabling us to tweak position, and design a bespoke programme to optimise your new position. The body is adaptable; the bike is adjustable. After the assessment, you will receive a 5 page Personal Report alongside any relevant imagery. WHAT YOU SHOULD BRING: Your bike! Your usual cycling kit (ideally shorts). Cycling shoes (with cleats in ideally good condition). A power meter (if you use one). If you use a Turbo Trainer, feel free to bring it with you to replicate your natural position – though I do of course have one ready for use. Any bike-specific tools that you are familiar with.